Do you have PhD's in PIGS (Projects in Grocery Sacks) that are on your UFO list? Well, then dig them out, bring them in, get them finished and off your UFO list. 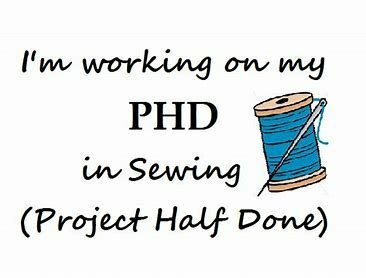 This class is for all levels who need help with your projects or just need a day away to sew. Also in this class, you will earn tickets for finished projects. Then, you can WIN prizes! So, it's a win win!